Did you know the price of a gastric sleeve in the United States hovers between $16,000 and $24,000? And did you also know that affordable weight loss surgery in the USA is actually a reality? The cheapest place in the country to have a gastric sleeve is — surprise, surprise — Las Vegas! Almost 45% to 65% of the prices charged in the United States, which means you can save a bundleful of dollars right here in your home country. You will be glad to know that we, at Bariatric Surgery World, also offer financial assistance for gastric sleeve surgery. 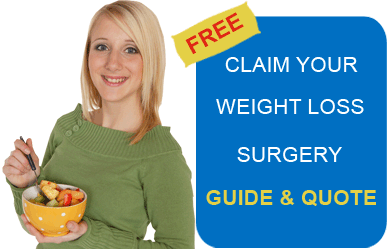 How does having Your Gastric Sleeve in USA Help? No documentary hassles: You are neither hopping across the border for sleeve gastrectomy, nor flying off to a distant destination for low cost bariatric surgery. Hence, the documentary hassles are almost non-existent if you choose to have your VSG right here in Vegas. You are at home: Both figuratively and literally. You won’t feel like a fish out of water as you would in a foreign location promising you quality gastric sleeve for just a fraction of the prices charged back home in the United States. You are assured of quality care: You are getting yourself treated right here in the United States. Hence, things like lack of quality care, sub-standard treatment, or dubious hygiene standards should not gnaw at the back of your mind. Follow-up care is right at home: Were you considering traveling south of the border to get your stomach sleeved? Had you made up adequate provisions for follow-up care back home? What was your Plan B in case you had to show yourself again to a bariatric surgeon and going back to your original surgeon was almost next to impossible? These questions should not bother you when you have your gastric sleeve surgery right here in Las Vegas. You get the best bang for your buck: With savings ranging between 30% and 50% of the oft-quoted prices, gastric sleeve in Vegas gives Americans a unique opportunity to stretch their dollar. You save travel expenses: You are probably flying (or even better driving) domestic. Hence, you save on both travel time and expenses. A mind blowing vacation awaits you: Been a while since you indulg ed in a vacation? Well, here is your chance to double your gastric sleeve trip as a sightseeing extravaganza. Think vibrant skyline, pulsating casinos, nightclubs and resorts that are synonymous with the Entertainment Capital of the World. There are already many Americans reaping the benefits of having their stomachs sleeved in the largest city in Nevada. Here is a video in which Alison from Los Angeles reviews gastric sleeve in Las Vegas. Alison points out that she has her bariatric surgeon’s cell phone number and that her surgeon is just a call away, should any issue crop up. Self-funded sleeve gastrectomy right here in the United States is no more a distant dream. With Las Vegas giving you plenty of cheaper alternatives for your surgery, you can look forward to regaining control over your health and life. Contact us through the online-estimate form on the right for more details on cheapest gastric sleeve surgery in the United States.